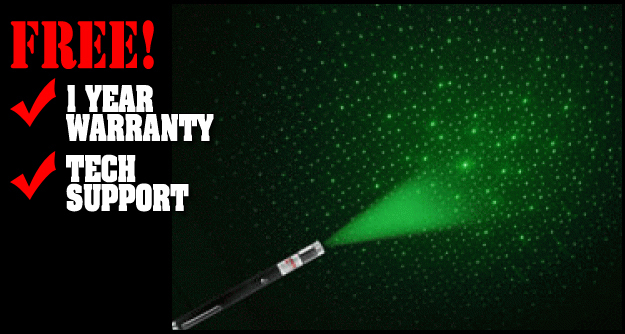 Prove your point with this sharp-looking Deluxe Laser Pointer! It's so easy to make your point when you're using the 30mw High Powered Laser Pointer. This pointer emits a unique blue-violet light that can draw attention just where you want it. It's perfect for office presentations and has a targeting distance of more than 2 miles, so you'll be able to point out whatever you want. It works great as a gift, too. The compact, pen-style design fits in your pocket, purse, briefcase, or backpack to make it easy for you to take it with you wherever you're going!